The nose is wonderfully complex, heavy with the scents of herbs, spices and stony minerality, at the same time exhibiting myriad aromas of apple and peach, mint, honeysuckle and fennel. The palate has a rich, creamy, almost oily texture, which is perfectly offset by juicy peach and apple flavours, a rasp of cut lime, garrigue herb and spice, whilst the heightened, limey acidity and intense core of minerality makes for an explosively refreshing, yet considerably complex wine. Fish with rich sauces, chicken, veal, goat cheese. Organic farming. Short pruning (Gobelet pruning). De-budding. Green harvest. Hand harvest with sorting in the vineyard. Total destemming. Direct pressing. Wild yeasts. Fermentation and ageing for 12 months in one wine Burgundian barrels. Sophie and Vincent Guizard are cultivating 8 hectares of vine at the North of Aniane village, over 320 m of altitude in Terrasse Du Larzac Appelation. Those 3 plots vineyard are surrounding a small church (XII century roman style church) in the middle of the woods.Sophie and Vincent Guizard are cultivating 8 hectares of vine at the North of Aniane village, over 320 m of altitude in Terrasse Du Larzac Appelation. Those 3 plots vineyard are surrounding a small church (XII century roman style church) in the middle of the woods. In 2000 Vincent start to clean the land of tree. The soil is very close to a Chateauneuf-Du-Pape with it’s big rolled stones. The exposition is South-Est, perfect for the Syrah, Grenache and Mourvedre. They care about the environment which is why they cultivating the vines by respecting it. Reds are vinified traditionally with indigenaous yeast. Every plots and grape varieties are vinified separately. After 30 to 40 days in tank the wine is aged 24 months in old barrels from burgundy. Whites are blend after pressuring and vinified in one wine barrel with indigenous yeasts. And then aged for 12 month. The blend is done 3 month before bottling (depending of the moon). Both of them learned how to cultivate vines with their grandfathers since childhood. Vincent learned to vinified wine in 1998 and 1999. He work in several vineyards until the end of 2010. Sophie is graduated from wine business school. She lived one year in London as a Loire wines sales person before joining Vincent. 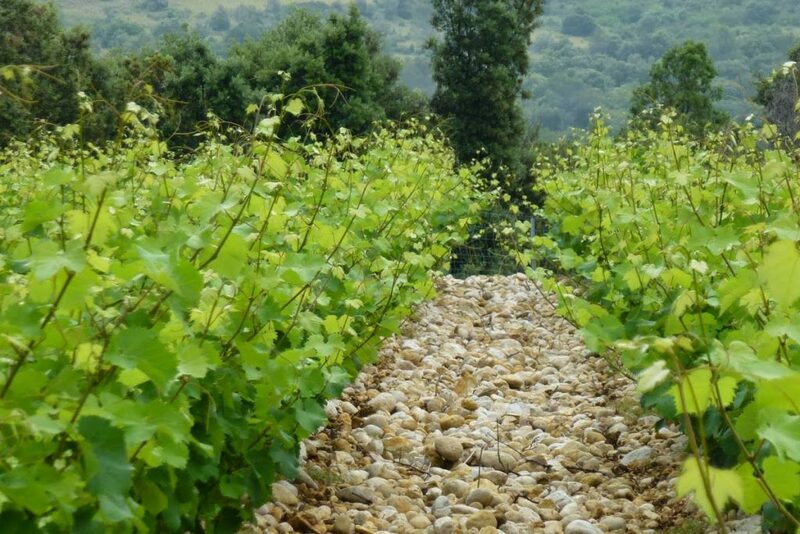 On December 1st 2010 they started the Domaine Saint Sylvestre adventure.